I wasn’t too surprised when many, many students reached for their graphing calculator…this is what freshmen do. 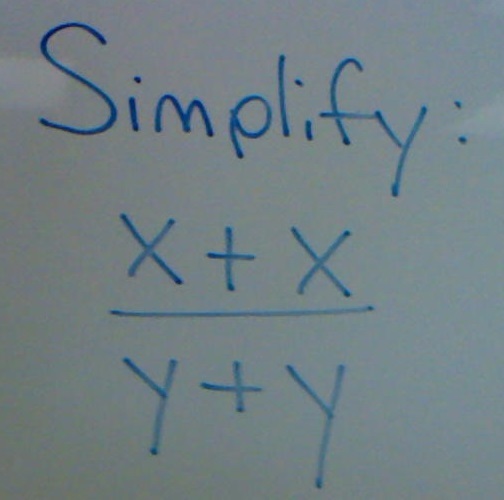 I was however surprised when I asked the class to volunteer their ideas on how they could simplify the expression – placing ideas on the board. Some appear below, and we discussed why or why not the procedures were valid. Many misconceptions regarding what it means to “cancel” in a fraction were revealed; in fact, the very nature of what it means to reduce was the star of our discussion. 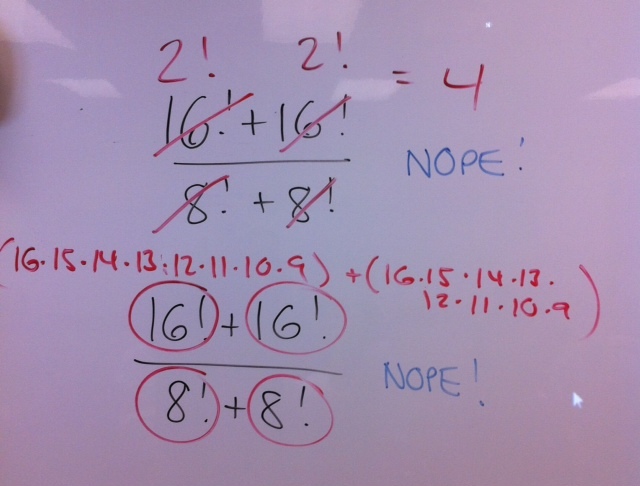 Later in class, I provided a hint which I hoped would provide some clarity with our factorial challenge. 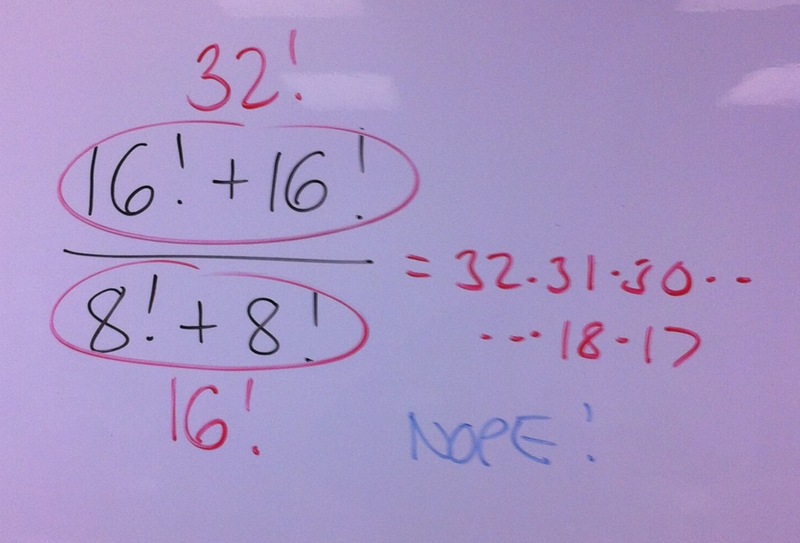 Some students immediately saw the link to the original problem and simplified. 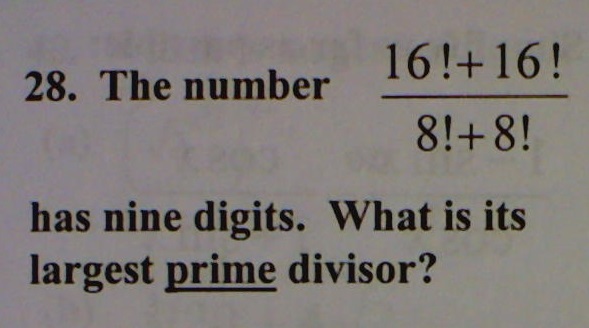 But how much closer are wo to finding the largest prime divisor? After simplifying, it was back to the calculators….which doesn’t really help much here. Listing the remaining factors of 16! after dividing common factors of 8! leaves us with the clear answer : 13. The moral of the story – those who never touch a calculator discover the mechanics of this problem much more quickly than those who take a sledgehammer to it with a Nspire CX. This entry was posted in Class Openers and tagged algebra, fractions, reduce. Bookmark the permalink.